Looking to add some privacy to your Quik Shade W64 Instant Canopy? Or maybe you need to create a wind break for outdoor protection from wind gusts? 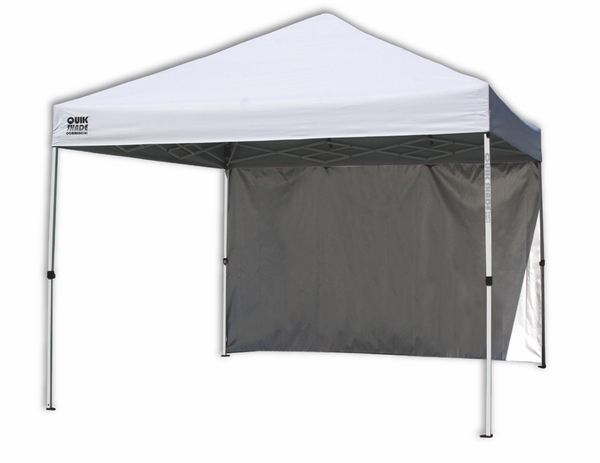 This Quik Shade 10x10 Canopy Wall Panel for Straight Legs offers the versatility you need. It's made of high quality nylon and polyethylene for long-lasting usability even in tough conditions. This panel is designed to fit the Quik Shade W64 Instant Canopy with straight legs and will add extra utility to the canopy you already own. Each package includes one wall that measures 10 feet by 10 feet square.